The congregation entrusts Deacons with the individualized care ministry of the church. This ministry is carried out through intentional and regular encounters with each individual to address the holistic needs of each member/attender (spiritual, emotional, physical, and intellectual). 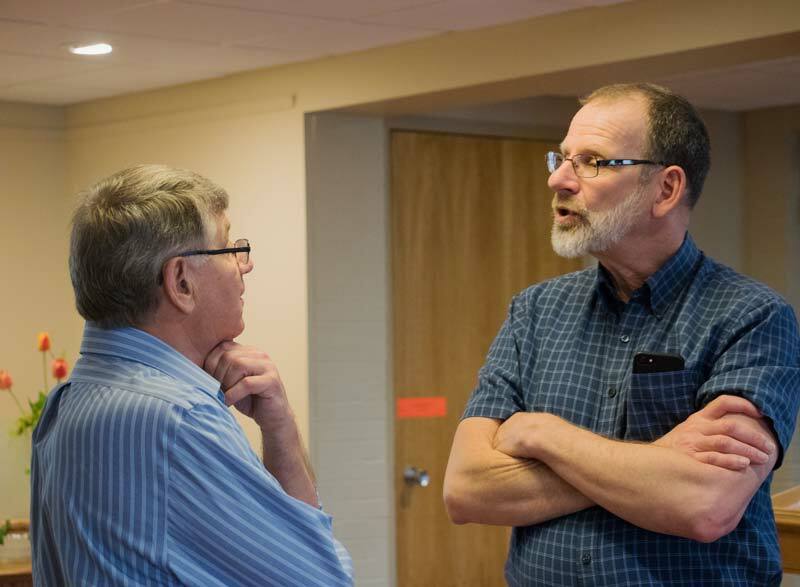 Deacons seek to nurture a significant level of personal interaction within the congregation through this ministry. Deacons carry out a three-fold member care ministry, focusing on communication, caregiving and spiritual wellness. In order to fulfill this ministry, each Deacon is matched with approximately 10-15 individuals within the AMC family. In preparation, Deacons participate in an orientation. They are supported in the ongoing role with regular education and equipping sessions offered quarterly, along with staff support. The purpose of house churches and small groups at AMC is to provide places for personal connection and spiritual growth. House churches help you as a newcomer or AMC member get connected and feel that you belong. You may also contact the church office which will put you in contact with the House Church Coordinator to help you get involved with an existing house church or help you to form a new one. Lunch bunch is a gathering of women who are widowed and/or living alone and meet the first Tuesday of the month for lunch at the Oregon Dairy Restaurant. Women who would enjoy this informal social interaction are welcome to attend. 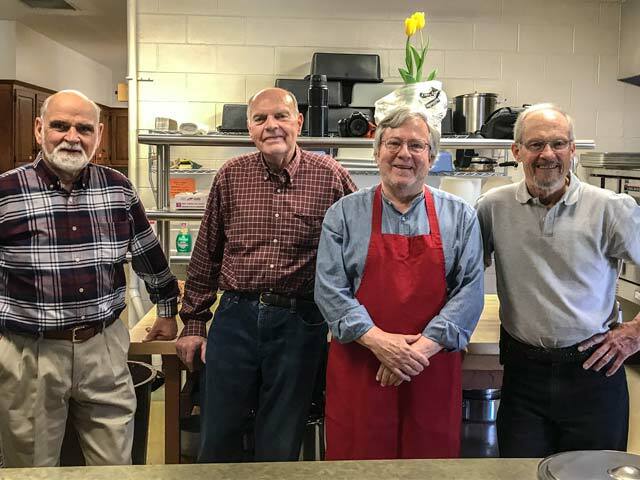 A group of men meets once a month at a local restaurant for sharing, prayer and socializing with AMC members. Throughout the church year a simple meal of soup and bread or a potluck fellowship meal is offered at the church. Members sign up to bring food items to share and enjoy conversation around tables. A group of women meet in each other’s homes for Bible Study. Individuals meet to engage the traditional spiritual discipline of “divine reading” (lectio divina) that involves a meditative reading and contemplation of Scripture. The group gathers weekly, with the exception of the summer months. Senior members meet several times a year in the church after second hour on Sunday morning for lunch and a brief program. DSECC’s ministry is to provide a nurturing, safe, and educational environment that emphasizes the worth and uniqueness of each child, in a Christian atmosphere that promotes peaceful conflict resolution, respect and service which is consistent with the Anabaptist mission of Akron Mennonite Church. 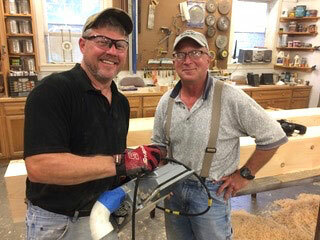 Members of the congregation respond to provide help in times of disaster in the local community and projects with Mennonite Disaster Service on the broader national scale. There is also an annual Christmas thank offering to support local, national and international programs. Offer classes, trainings and other opportunities for peace and justice witness locally, nationally and globally. Members of the congregation participate in a community program to provide meals for local citizens.